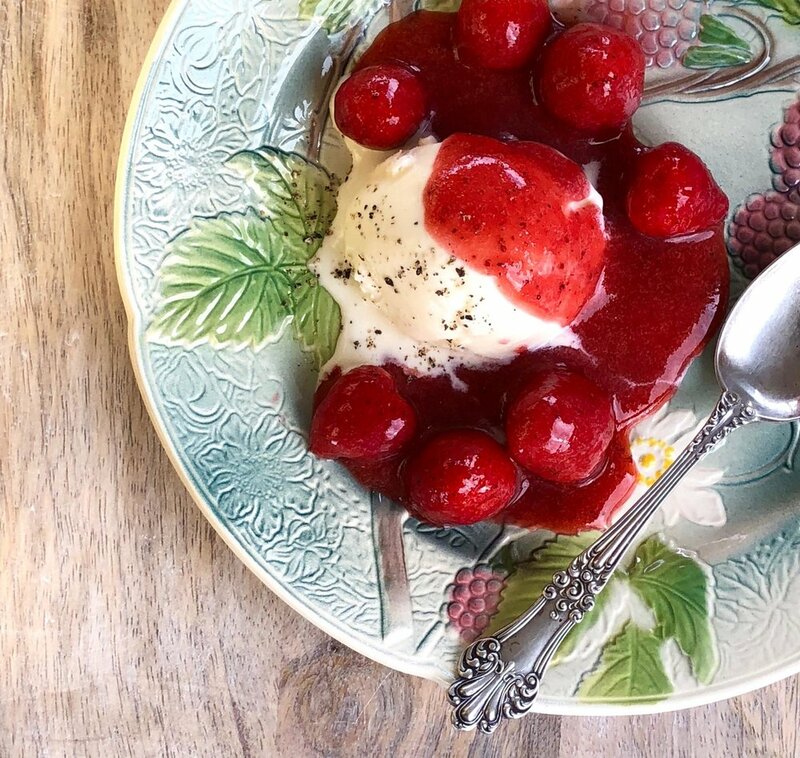 Here’s a strawberry summer dessert that you can quickly create before your guests arrive. Whilst it’s really simple to make, the addition of pepper gives the syrup a surprise spicy kick creating a rather sophisticated and delicious dish. Makes about 1½ cups. Serves 4. If strawberries are large, cut in half. Place 250ml of water, half of the strawberries, sugar, vanilla, lemon juice, lemon peel and pepper in a small saucepan over a medium-high heat. Bring to a high simmer. Reduce heat to a low simmer and cook for 5 minutes. Remove the vanilla pod and lemon peel and reserve. Using a blender, puree the hot mixture until smooth. Transfer hot syrup to a bowl and add the reserved vanilla pod, lemon peel and the remaining strawberries. Set aside to cool for an hour. During this time the strawberries will soften and marinate in the syrup. Spoon strawberries and syrup over vanilla ice cream to serve. Sprinkle with a little ground pepper, if desired.